Need a hearty after school snack that’s ready in minutes? What about an easy dinner for busy weeknights? 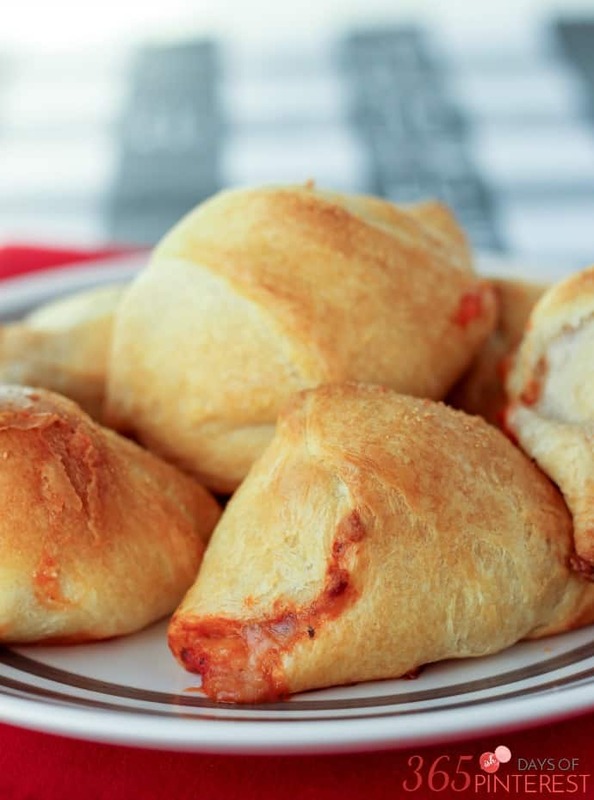 Meatball Pockets are the perfect solution! Every once in a while, I try a new recipe that immediately becomes a regular in our family menu plan. 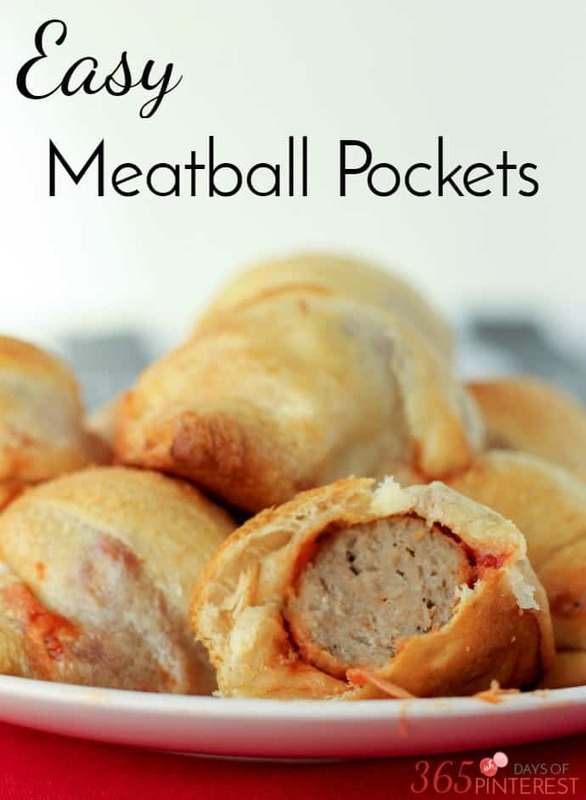 These Meatball Pockets have become just that. They are quick, easy and full of kid-friendly flavors. I make a big salad to go with them and we have a delicious dinner in less than 30 minutes. I can’t wait to start sharing fall and Christmas ideas soon, but for now, here’s a quick recipe that’s perfect for busy back-to-school nights. 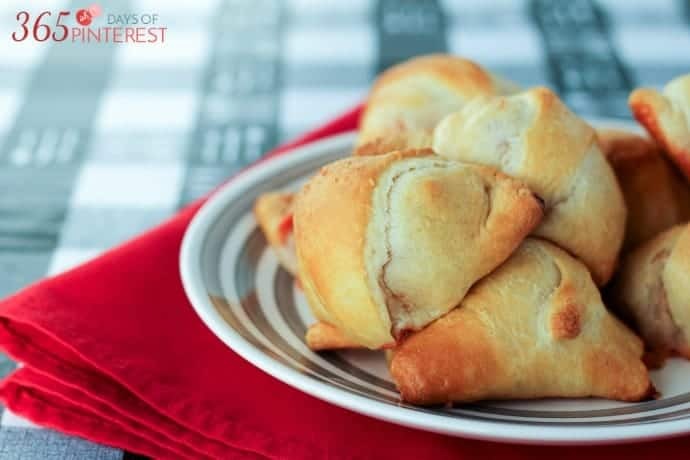 Open crescent roll dough and separate into triangles. 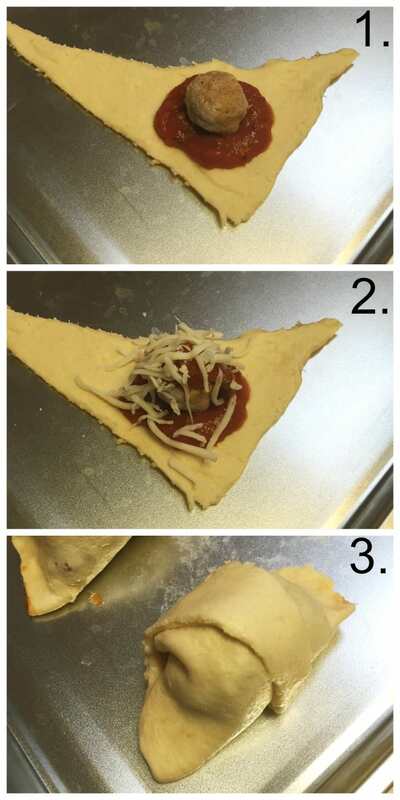 Place a spoonful of sauce in the middle of the wide end of the triangle as shown below. Top with one meatball (still frozen), add a little more sauce and sprinkle with mozzarella cheese. Fold over the edges of the dough and pinch or fold the sides closed so it’s a sealed pocket. Bake at 325 for 14-17 minutes, until golden brown and cooked through. Please do NOT pin this horribly ugly photo! ? I just wanted to show you the quick steps, so I snapped these in my kitchen while I was rolling them up. After baking, they are much prettier and definitely tastier! Another way I serve these (and stretch the dough a bit farther) is by cutting the dough into 12 equal squares and laying them in a muffin tin. Then I just add the sauce, meatball and cheese on top and bake them open-faced. The bread puffs up around the filling and you get little meatball “muffins” that are perfect for snacking. Making them that way would be more like an after school snack, party snack or appetizer. If you get two cans of crescent roll dough, you can use up the whole bag of meatballs and serve a crowd. Either way, they are easy and delicious-enjoy!